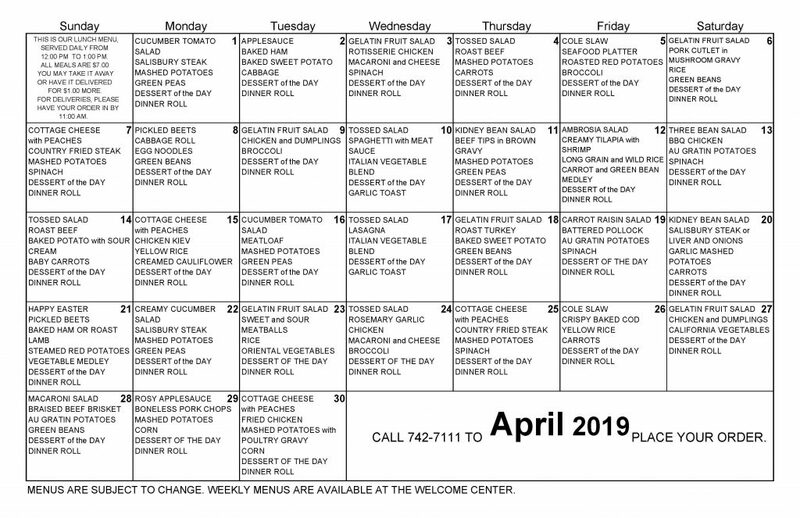 The Cove provides delicious high-quality meals three times a day for our residents. We take pride in creating meals that are nutritious and catered towards our resident’s tastes and preferences. 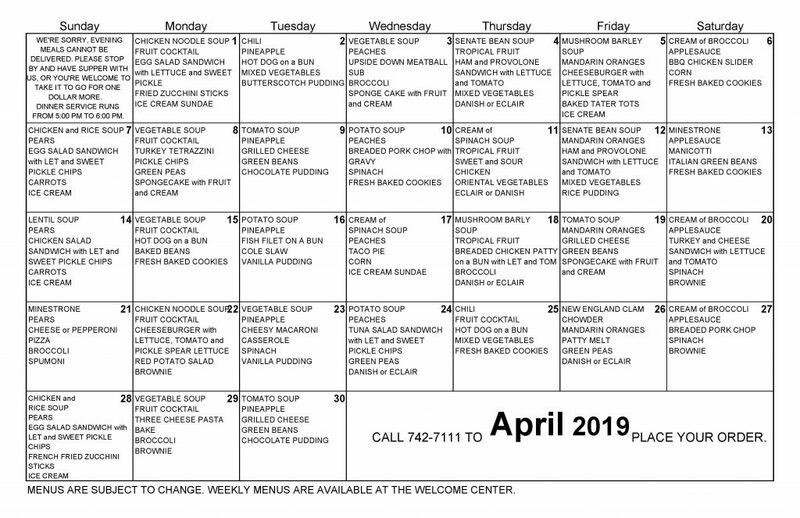 Dining services are also available for Senior Independent Living Residents. Looking for a quick meal? Check out the all new Sunnyland Cafe! Our Lunch Menu is served daily from 12:00 pm (noon) until 1:00 pm. 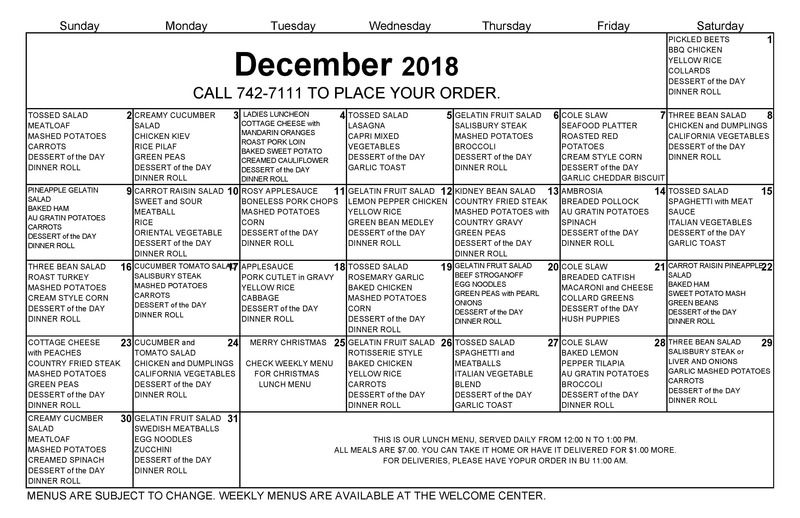 Meals are $7.00. You may choose takeout or delivery for $1.00 more. Please order by 11:00 am for delivery. Our Dinner Menu is available from 5:00pm until 6:00pm. A takeout option is available for $1.00. There is no delivery option available for dinner.